﻿Whether it is Investing for Profit, General Homeownership, Moving-up or Sizing-down, Retiring, Buying a second Home, New Addition to the Family, Acquiring a Horse, Starting a Home Business, Opening a Day-care or any of numerous other reasons that people need to Buy and Sell Real Estate, you should LIKE and TRUST your Broker. 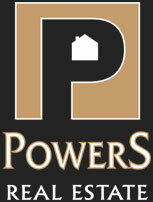 Rosanne Powers of Powers Real Estate is proud to offer services in partnership with Thompson Land LLC. Let me have the opportunity ﻿﻿ to provide you with Valuable and Powerful Service. We have sold and listed real estate throughout the Seattle area and Puget Sound with emphasis on the eastside. Click here to view our current listings and recent sold listings. Issaquah is one America's fastest growing and highly rated suburbs. 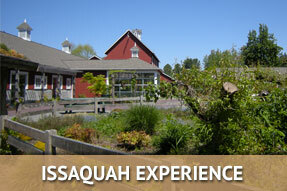 Find out why Issaquah is the perfect place for you to live. 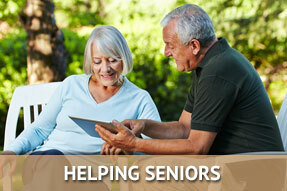 Rosanne Powers and her partner Jim Thompson specialize in helping seniors who need to sell their houses or vacant land so they can move on to a more manageable lifestyle. When you purchase or sell developable type of properties through us, we can provide Professional Engineering and developer expertise services at no or reduced cost depending on scope of work. Please click below to read how my partner and licensed professional engineer, Jim Thompson, may be able to help you.